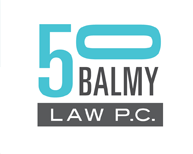 Copyright Law | 50 Balmy Law P.C. Copyright protection is probably the single most important way for artists to protect and defend their unique artistic contributions. The firm has represented hundreds of artists, authors, and others in copyright matters. We counsel film makers, publishers, multibillion dollar entertainment companies, manufacturers, nonprofits, standard-setting companies, and other enterprises on protecting their copyrights and fair use of third-party copyrighted works. We register copyrights, expedite applications, record documents, and perform title searches. We render opinions on copyrightability, fair use, infringement, ownership and title, notice, security interests, and foreign protection. We also draft and negotiate agreements involving copyrighted works, including joint-development agreements, licenses, assignments, rights clearance, and distribution agreements. We know social media and guide our clients through constantly changing best practices. Stopped a major corporation from using an image of one of our activist artist’s limited edition print in its nationwide print magazine advertising campaign. Stopped a major national newspaper from using our client’s mural in its online, print, and subway platform advertisements. Stopped an automaker, advertising agency, and network broadcaster from depicting our client’s iconic mural in a Super Bowl commercial. Stopped book and other publishers from using unauthorized photographs of our clients’ murals.